Welcome to MikeHawkey.com! Once I get up and rolling I’ll be posting various images and conversational observations. 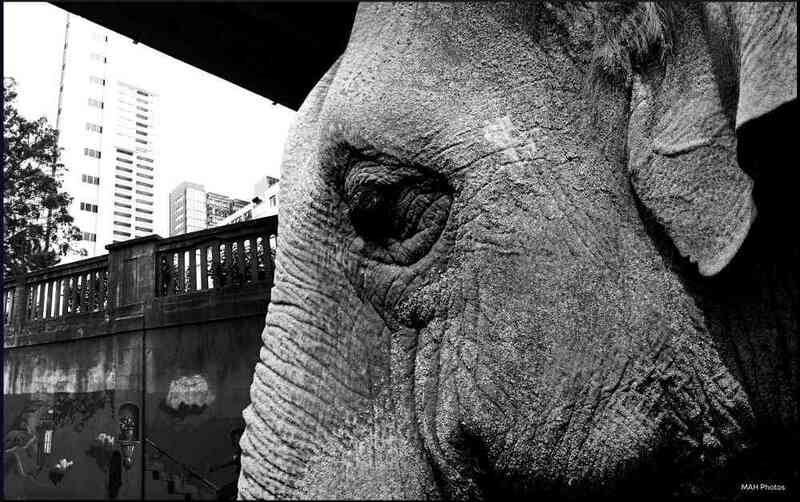 For today, here’s ‘Elephant in the City’. Playing around in Gimp (http://www.gimp.org), I got thinking about animals roaming free around our inner city regions (a little 12 Monkeys like). Grabbed a city shot from my GR IV and one of Burma @ Auckland Zoo from my Nex 5N, and here we are, Burma taking a stroll down lower central city Auckland.